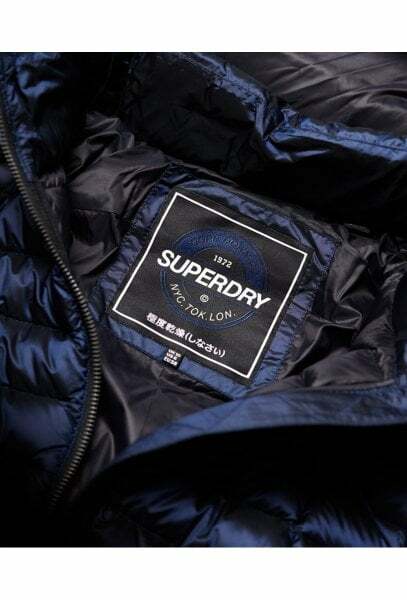 Superdry women’s Blisse down parka jacket. 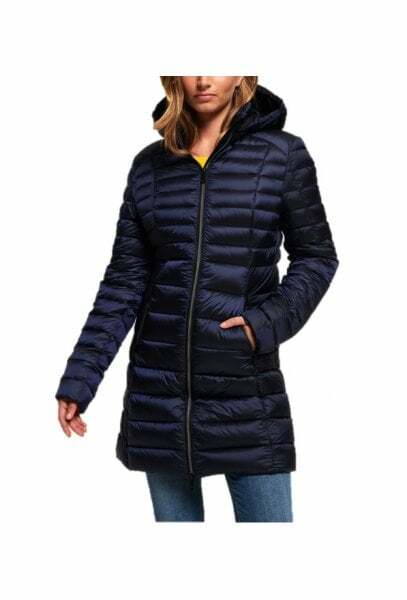 This lightweight, quilted jacket is a must-have for the colder months and features a 90/10 premium duck down filling for fantastic insulation, keeping you warm in extreme cold. 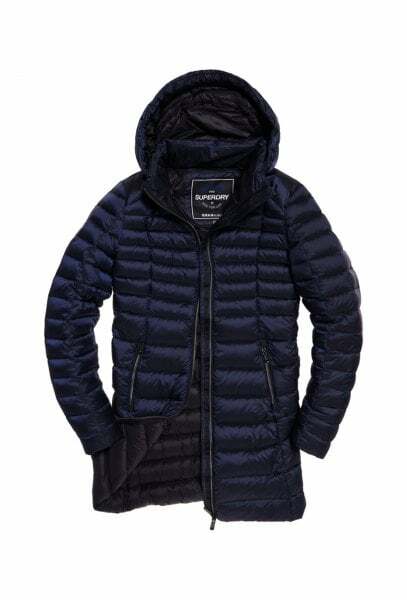 The jacket also features a quilted hood with a bungee cord adjuster, a front two-way zip fastening and two zip fastened pockets. 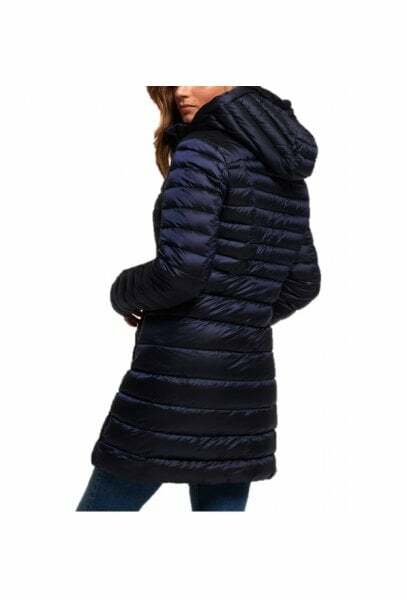 The longer length of the jacket and elasticated cuffs help to keep the cold winds out. 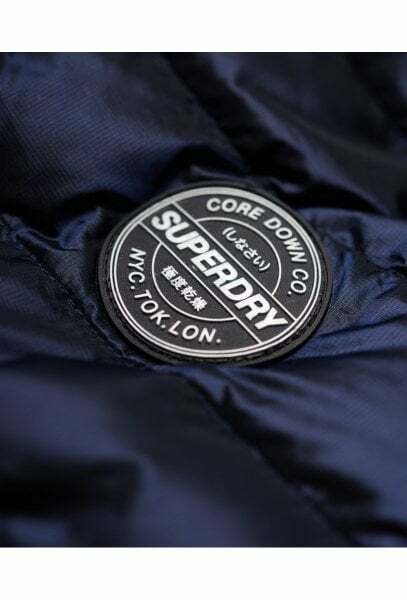 The Blisse down parka is finished with a Superdry logo badge on the sleeve.